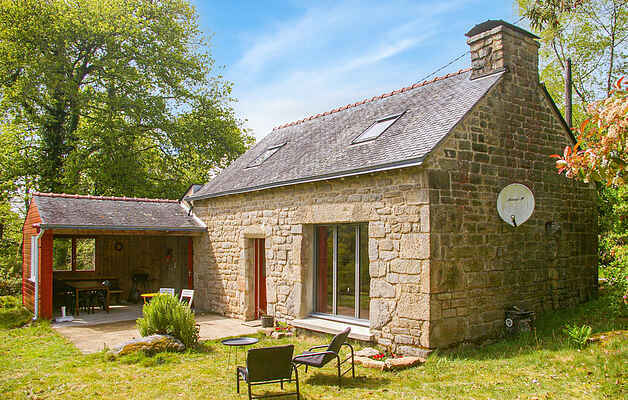 This cosy house on the outskirts of the forest is a haven of tranquillity. The beams and exposed stone walls in the house add to the authentic charm. The living room leads to a wooden terrace and an outdoor pool. You can enlighten yourself by acquainting yourself with the fascinating history of Pontivy, earlier known as "Napoleon City”, and experience the dynamism of the city Loudéac. You may take pleasure witnessing a horse race. The Bay of Saint-Brieuc that offers many interesting monuments is also a beautiful nature reserve.